2. 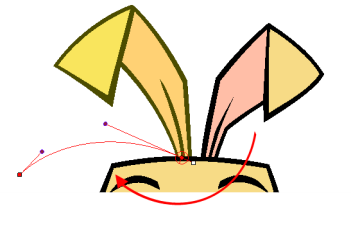 In the Deformation toolbar, click on the Show Selected Deformers and Hide All Others button to display the deformer’s controls in the Camera view. You will notice the chain turning from light green to red. If the chain is displayed in green, it means the Setup Mode is disabled, click on the button once more to enabled it. 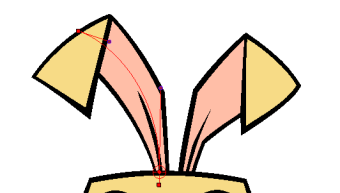 • Use the curve handles to modify the shape of the curve. 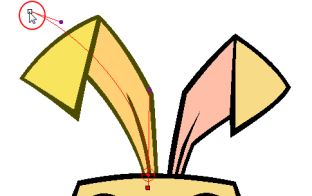 • Use the curve’s square control points to resize and reposition each segment of the curve chain. 6. 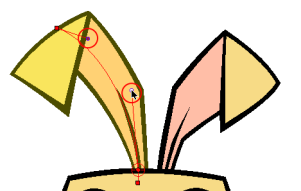 Repeat until all the curves of the chain are correctly aligned to the element it is linked to. 7. 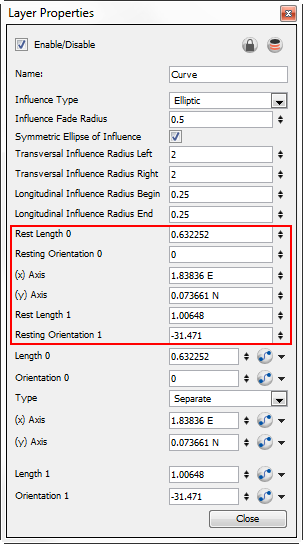 With the Deformation Group still selected, click on the Copy Resting Position to Current button. This will make sure to set the current resting position as the current frame one. 8. In the Deformation toolbar, disable Setup Mode and test your modifications using the Transform tool. 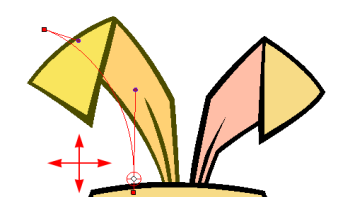 You can also set up the resting position of the deformers by typing values directly into the Layer Properties of the deformation effect modules.